Affordable Art Fair is heading back to beautiful Hampstead Heath this May! Discover a curated collection of original artworks by an array of living artists, with prices from £100 – £6,000. 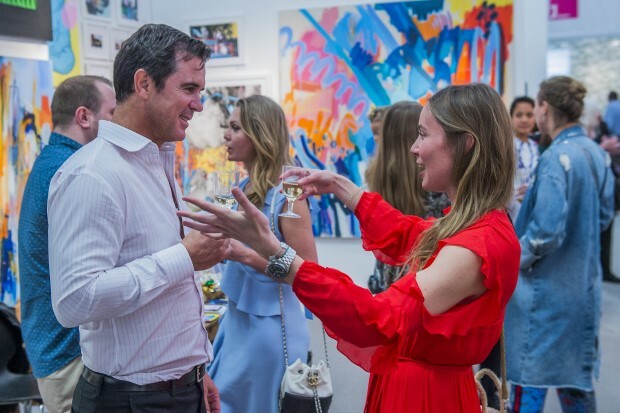 Whether you know your Hockneys from your Hirsts, or are simply looking to dip your toe into the world of contemporary art, friendly, expert gallerists will be on hand to help you choose the perfect piece to suit your space, taste and spend. Celebrate the opening night in style at the Charity Private View, or wind down after work with a complimentary drink at the relaxed Thursday Late. If it’s inspiration you’re after, the dedicated emerging talent section presented by Made in Arts London and packed programme of free workshops, talks and tours will provide aplenty! And be sure to make your visit extra-special by toasting your new purchase in the all new central champagne bar. Browse affordableartfair.com to preview a hand-picked selection of affordable art and book your tickets for an art-filled weekend this spring. *Offer excludes the Charity Private View, is based on on-the-door prices, and a small booking fee applies.